Club Penguin Cheats by Mimo777 Club Penguin Cheats by Mimo777: Aqua Mimo Club Penguin Party Clue #2! Here is Aqua Mimo Club Penguin Party Clue #1 in case you missed it. I dont get it, but can you give us a hint on what it is? Time or date? Please have our private party soon! I can't wait! yah mimo, could u tell if its the time or date or server? I don't get it... :( i might not be able to go! we know what it is! the first clue was that for what room it will be in or server or time or date? i dont really get it ethier. hmmm.. is it a time? i hope i figure out all of the clues! im guessing it is a server with 2 words in it xD lol that is a good guess if wrong tho! Mimo that is one of ur kewleset Seulc! Its a bit confusing but im close to wrapping up the mystery. Mimo thts not nice its hard for me! Give us a hint a Time or date plz! I want to come so bad! No Clue! I agree with Pengi 2. I need a time, date and a little tiny hint. Pengi 2 he probably means the date. Is it the time or the date? or the server? seriously mimo u gotta tell us, cause it is pretty hard to get. I think it means that two people/penguins are in love? know it mimo it the 2s and the heart means (classified). ive never actually been to a mimo partay cuz wheneva i get close of figuring it out, some of the clues start getting much harder!!!! I'm not sure but check Mimo's Twitter for hidden clues and exclusives. This is really off topic but have you heard about all of the robbers lately?It's so annoying.Don't you think so too? I think I'm getting something. If you check Mimo's Twitter you can look for hints. i think i get it but is it the day if so i get it if not idk? I don't know, can you PLZ give a hint? that will be awesome if u give us the server and date and we'll figiure out the rest :D...............but probly not....................i need help with the 2 clue.....can anyone help me??? HEY MIMO! In the new newspaper, there is a penguin wearing a GREEN propeller cap, maybe that will be the free item at the festival of flight! mimo i have news! according to the newspaper we can meet gary and on the page about festival of flight there is a penguin with a GREEN propellor cap :D Sweet! If I may give a little hint, it's the time. Mimo! Geez, everyone says it's too hard! Why do you think it's easy? Oh, that's right you made it. is it the date or time or sever or place? i think i got it?! lol can u give us some hints mimo? please! It looks like a 2 shaped in a heart what could that be? Aww Mimo your clues are soo hard! Mimo! Is very hard I think I am not able to go there! I need HELP. umm why does it say when do you start school? school started nearly a month and a half ago? I think is the server, because there is only one server that rythmes which is X. I already got the only rythmes server but what is the heart for and the numbers for??? And what does Mimo meant when he said Hey that rythmes?? ROAR I AM SO CONFUSED! BEST SEULC EVER! I have never been to ur parys cuz ive been away alot! i hope i can come! Oh Mimo! It's really easy! I thought; it was very hard; but its really really EASY! I figured out it... :) Now; two clues are OK! No clue! I think it isn't even CP! cause I DON'T GO TO SCHOOL! CP made a mistake LOL! On B3 page; it is writin Boiler Roon. LOL! mimo no-ones going to come if they dont know what this means. the first one is the mine shack but this is stupid. lol. ur gonna have a lonely party! I think I get it, its at the Beach, and its 2 - 5 pm because if it was 5:00AM - 2:00 PM that makes no sense or 5:00PM - 2:00 AM? The time is 2 - 5 pm that is the clue. I know It! it is.......... @)@ and thats a clue ok it is 2:02 it is a time DUH! i think its 2:02pm. But mimo wont let people post the answer because he chooses which comments come up. Not fair. Can someone say it pls? I have no idea what the love heart is for!!! wat is it? give us atleast a little teeny weentsy itty bitty hint! Sorry but he can't, this is the ideea, to think what it's about! No he can't. Think again! Sorry, he can't! Think again! Sorry Crazykid, but if Mimo gave out the time and place for every party, then we can't get in, and, more importantly, Mimo won't be able to get in! There will be too many people! It's very easy! You can check for hints and clues on Mimo's Twitter if he has any! I know what the clue is! Just look at it and examine it and you'll find it! Try looking again! Just look at it really closely and I'm sure you'll resolve the clue! I'm sorry but we cannot reveal the answer. You just have to look at it closely. Most people just look at it in 2 seconds and just assume they don't what the clue is. I think its the time not the date ill see by mimos next clue if im right. he said Hey that rhymes because Clue #2 rhymes. I still cant figure it out. :( Ithink its the time though. My school starts in September! :D But we end late so we start late. yuppers. i go to a co-op YAYZORZ! wow i cant believe i got it! thank you mimo! cant wait! Sorry I haven't commented lately I am at my friends house now cause my internet isn't working I don't know when we will get it fixed. I be sure to comment when we get it fixed though! 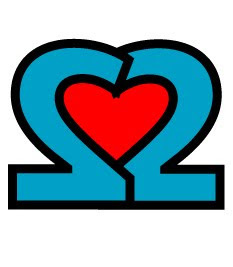 it looks like its 2heart2 "toohardtoo"
Um.......I think i know it. It is 2 numbers.....and a luv heart.........but i STILL CANT GET THE FIRST CLUE. iS IT THE BEACH? Plz help me guys! So confusing! I really don't get it! what the! i have no idea! i knew on the first clue!! Mimo sometimes gives hints on his Twitter. Mimo, please give us a clue to this clue and lable it clue number 2.5 or something. Please, I need to get this clue and then wait for clue number 4. Please mimo, never been to one of your partys, really want to. I'm your biggest fan. Been on this site since on cp!! i think i know it...it could be the time......if its not...then im wrong.